The timeless sounds of a forest stream combined with Theta audio processes lead you easily lead to deep meditation and inner calm. Simply play this uniquely calming natural soundscape in the background to lead you to states of DEEP MEDITATION and INNER PEACE --easily and naturally. Clinically Proven Audio Program Based on 25 Years of Clinical Research. We all experience many states of consciousness, from ordinary waking and sleeping to extraordinary states in which we are more at peace, particularly aware, or unusually creative. Each of these states has a unique pattern of brainwaves. 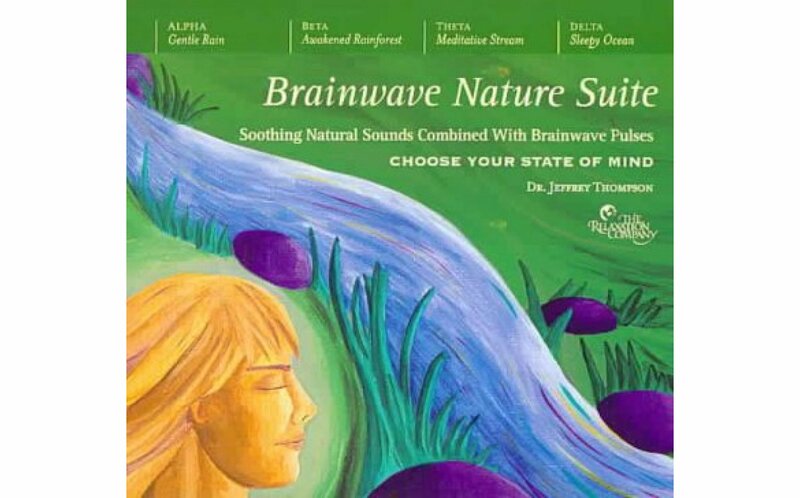 Sound healing pioneer Dr. Jeffrey Thompson has developed unique techniques for embedding brainwave audio processes into lush, natural soundscapes. After a few minutes of listening, your own brainwaves naturally "lock" onto these audio pulses, to easily lead you to the state of mind you want to experience. Orchestrate Your State of Mind with THETA: Meditative Stream.The gentle sounds of a timeless stream and distant tropical birds surround you while embedded THETA pulses slow your own brainwaves and carry you into deep, restful meditation. Many studies concur that meditation can lower blood pressure and stress, enhance our immune system, increase creativity, and bring us into greater harmony with ourselves and the world. DR. JEFFREY THOMPSON'S clinical research with thousands of patients has led to groundbreaking discoveries of how sound frequency patterns built into musical soundtracks can alter states of consciousness and induce mind-body healing. His audio programs are used by Fortune 500 companies, health care professionals, and individuals worldwide. CD One Delta: Sleepy Summer Night The sounds of a warm summer breeze and evening crickets combined with Delta brainwave pulses lulls you effortlessly to deep restful sleep. CD Two Alpha: Ocean Surf Relaxation Soothing sounds of the Pacific Ocean rolling onto the shores of Olympic National Park combined with Alpha brainwave pulses leads you to states of rejuvenating relaxation. CD Three Theta: Rainforest Meditation Lush sounds of the Brazilian Rainforest combined with Theta brainwave pulses will help you to clear your mind and guide you easily to states deep meditation. 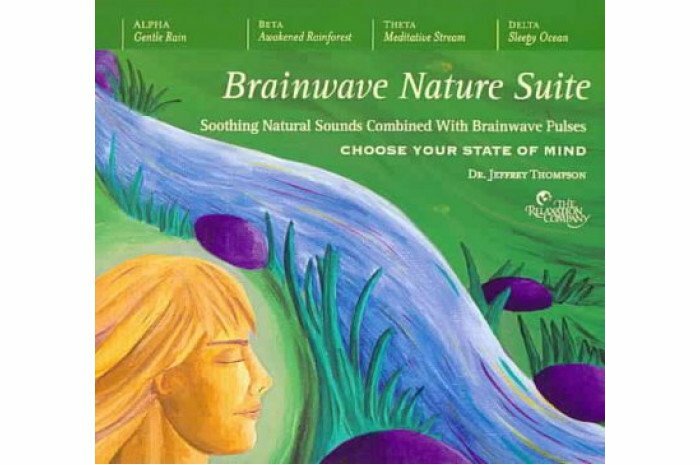 CD Four Beta: Cool River The sounds of a cool mountain river combined with high Beta brainwave pulses will uplift your spirit and heighten your mental performance, focus and concentration.